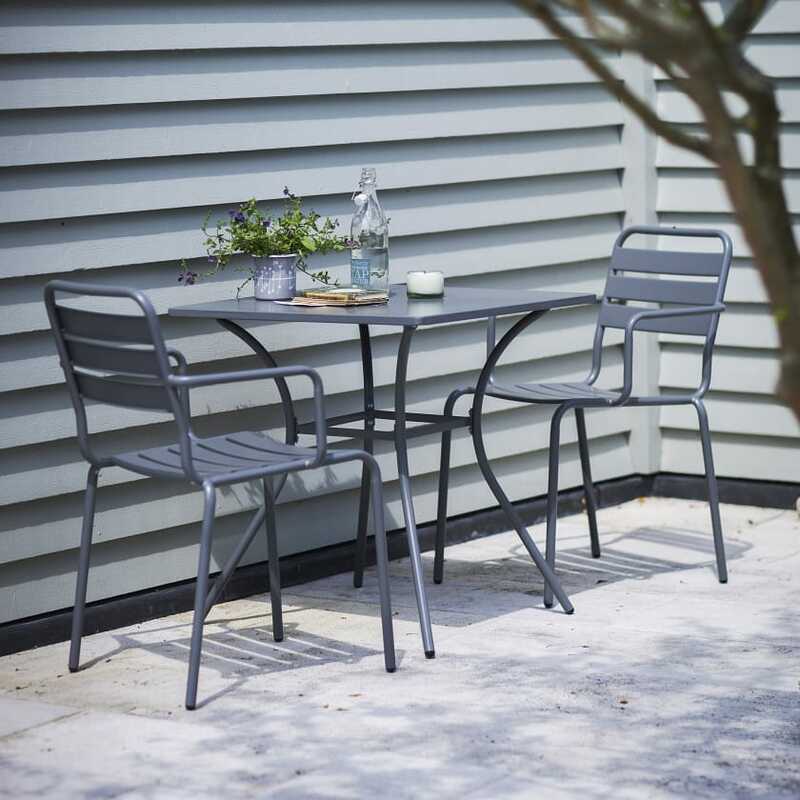 Our Dean Street set offers a more contemporary style for the smaller garden, patio or balcony. 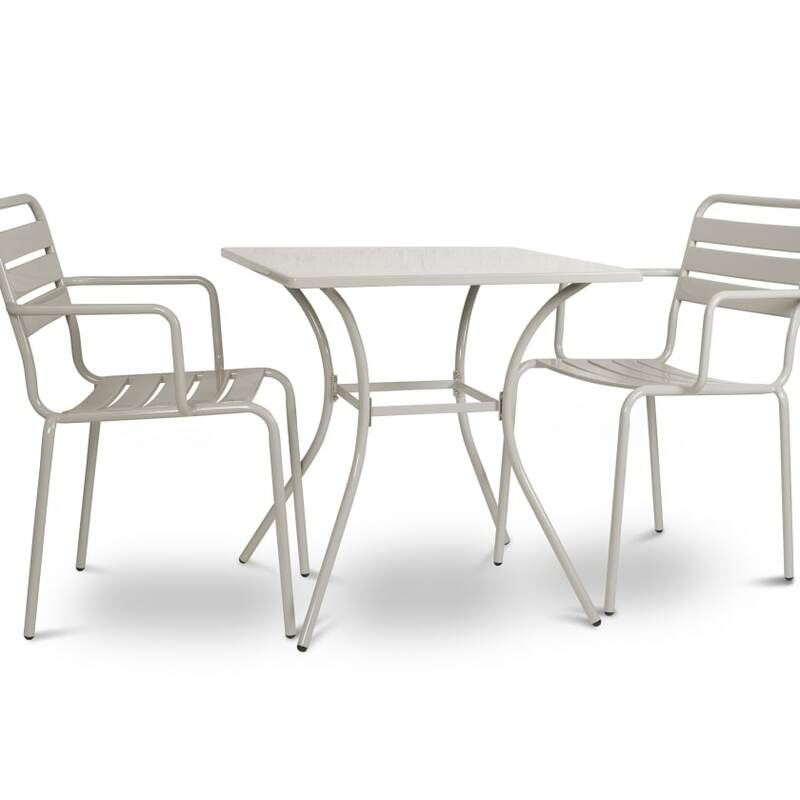 Crafted from powder coated steel the set is both weatherproof and durable. 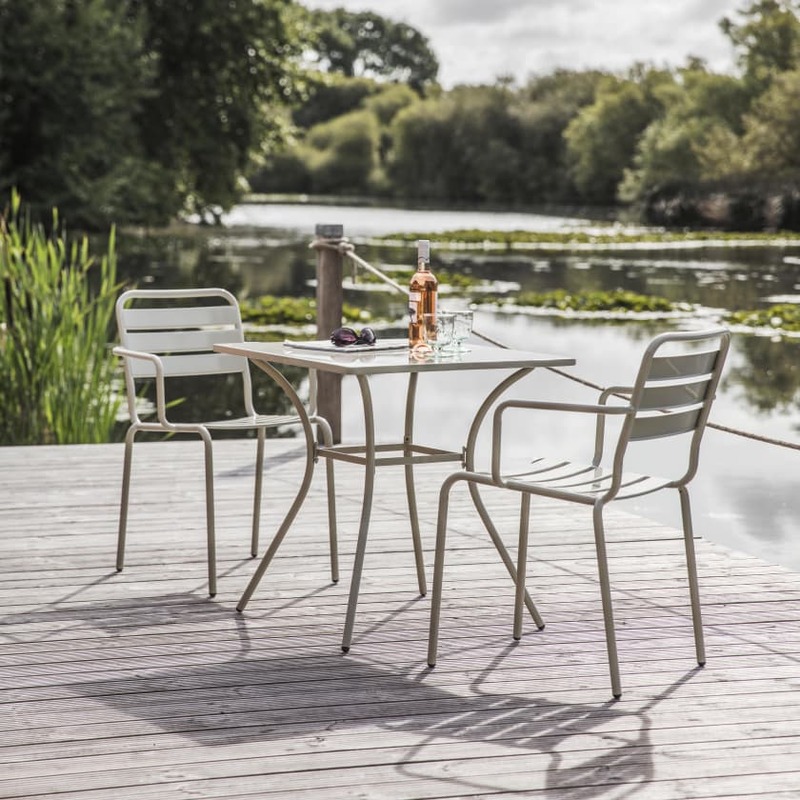 The slatted chair back offers maximum comfort to sit and enjoy a morning coffee or spot of brunch. 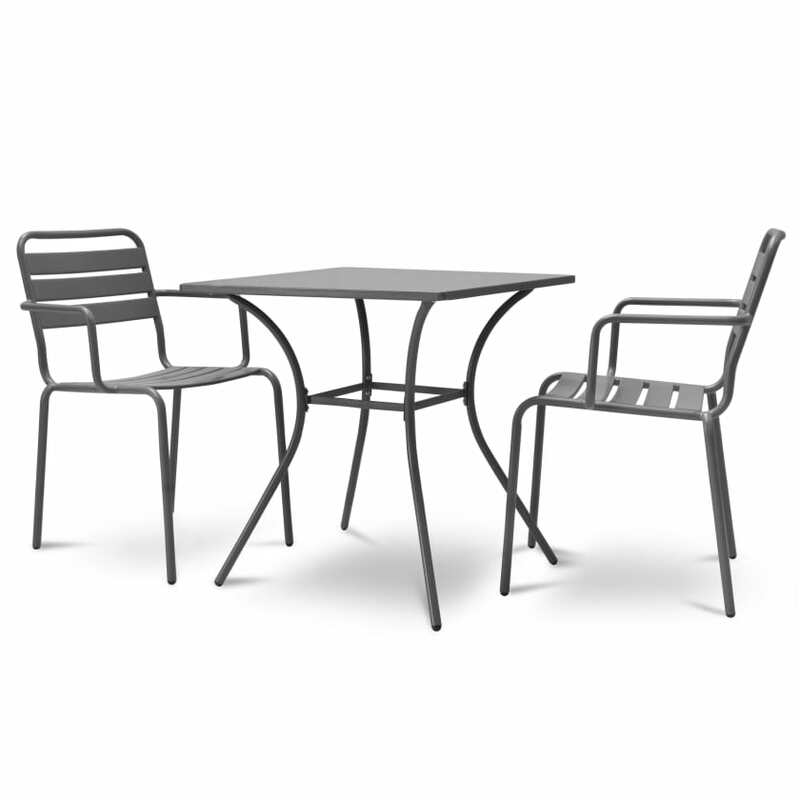 This set comprises of a square table and two matching chairs. If the item is damaged or faulty we will replace or refund your purchase provided you contact us within 72 hours of delivery. If you wish to return the item there will be a collection charge of PS24.